As autumn draws near, the crude market is seeing some signs of activity. 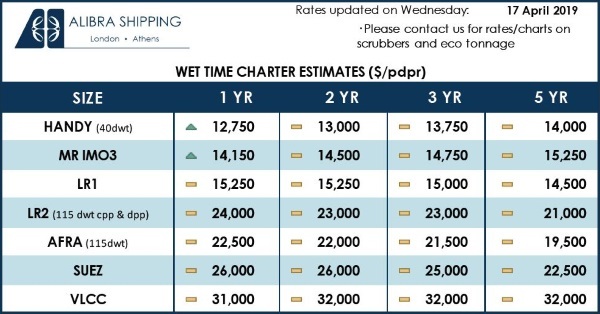 The Aframax sector has picked up, with time charter rates for one and two years increasing to $14,750/pdpr and $15,350/pdpr. The period market has seen some activity in terms of fixtures as the northern hemisphere returns to work following the holiday season. Little excitement in the market with rates moving more or less sideways. Not much movement in the tanker market this week with limited activity in both clean and dirty markets although we do expect a slight increase in activity in the next week or so as the market returns to normal. There has been steady interest in the period markets for crude. Period activity has seen some improvement this week. 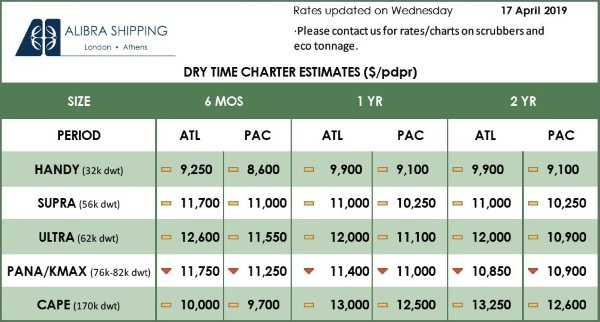 The dirty market remains in a weak state with limited activity and few cargoes available. Rates have remained flat this week as demand remains muted. A mixed week for oil prices this week as Norwegian oil workers went on strike on Tuesday after rejecting a proposed wage deal, causing oil prices to rise. Tankers in both products and crude still show no sign of improvement. The one-year t/c rate for VLCCs declined to $23,500/day whilst the five-year rate dropped to $30,000/day. At best rates are flat due to insufficient volumes. Oil prices have fallen hit by rising supplies in the US and expectations that OPEC could relax voluntary output cuts. A quiet week with limited activity in both dirty and clean markets due to Posidonia, with rates remaining flat.